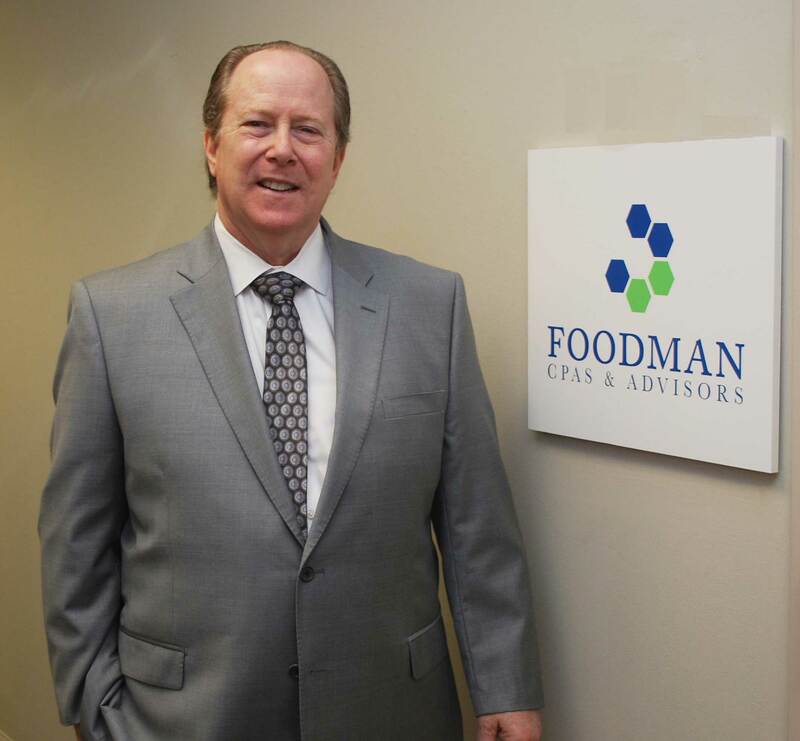 As the CEO of Foodman CPAs & Advisors in Miami, Foodman leads a team of professionals who specialize in complex international and domestic tax matters, commercial litigation support, forensic accounting, and advisory services. His client base includes high-net-worth individuals, business executives and professionals, financial institutions, governments, healthcare, entertainment and real estate organizations. In his practice, Foodman assists clients with a full range of accounting matters including tax compliance, voluntary disclosure, corporate and individual taxation, estate and trust tax and wealth planning," said Foodman, who is a Florida certified public accountant (CPA), certified fraud examiner (CFE), a certified anti-money laundering specialist (CAMS), is certified in financial forensics (CFF), Chartered Global Management Account (CGMA) and he also holds a Trust & Estate Practitioner designation (TEP). Drawing on his extensive forensic accounting experience, Foodman helps businesses investigate “inside frauds,” tracking down stolen funds or other assets and gathering evidence that may be used in a criminal case. In embezzlement and in tax fraud cases, Foodman looks closely at the personal financial situation of the defendant to see if he or she profited from a crime. “In a federal criminal money laundering case, our client was acquitted because we were able to show that all his income was legitimate and that changes to his net worth was traceable to his legitimate sources of income. ” he said. “With our knowledge of the tax code, we were able to explain to the jury why the profit shown on his return was not equal to the funds going into his bank account. Foodman was born in Miami Beach and grew up in Coral Gables. He began learning Spanish helping his father manage a retail store in Little Havana. After graduating from Coral Gables High, Foodman attended University of Miami and went on to earn an Accounting degree in 1971 and a Master’s degree at the University of Miami in 1972 respectively. After obtaining his CPA, Foodman joined Peat Marwick as an accountant before opening his own firm in 1976. Right from the start, Foodman was interested in the forensics side of the accounting field. "I got involved with a lawsuit against a general contractor for a U.S. Navy base in Jacksonville," Foodman says. "The client's attorney hired me as an expert accountant, and won the case." Foodman also began building an accounting and advisory practice, with a focus on international as well as U.S. transactions. He became involved in federal and state criminal investigations and served as an auxiliary special agent for the Florida Department of Law Enforcement (FDLE) to investigate economic crimes, such as money laundering, bank fraud, public corruption and discovery of hidden assets. "Because of my skill-set in public accounting, the FDLE would lend me to federal agencies to help on their cases as well," says Foodman, who was a consultant to the Miami office of the U.S. Attorney for civil racketeering and money laundering recoveries. He later joined the advisory board of the International Association for Asset Recovery. Today, Foodman is frequently asked to serve as an expert witness in tax, money laundering, auditing and other types of matters. He also assists immigration and real estate attorneys in helping clients with tax planning, including compliance with the Foreign Investment in Real Property Tax Act (FIRPTA). In addition, he consults with attorneys from Latin America, Europe and other regions on matters relating to the U.S. tax code and compliance. In addition to his professional activities, Foodman is an active member of the Anti-Defamation League and an informal mentor to younger professionals. He also teaches karate and unwinds by swimming, fishing, listening to operas and symphonies and watching sporting events. "Most of all, I enjoy time with my wife, son Daniel (an attorney with WNF Law in Miami) and two grandsons," he adds. "My family is everything to me." As the U.S. government has taken steps to lift the veil of secrecy in traditional "tax havens," Foodman has become a knowledgeable authority on the Foreign Account Tax Compliance Act (FATCA), which requires foreign financial institutions to disclose information about accounts held by U.S. taxpayers who meet certain criteria. Over the last seven years, Foodman CPAs & Advisors has gathered over 100 Foreign Financial Institutions as bank clients. These institutions rely on Foodman for their FATCA, CRS, QI Compliance programs. Foodman also counsels South Florida financial institutions on FATCA, anti-money laundering rules and other compliance issues. "A robust internal audit program is usually a best solution," he adds. Reflecting on the many roles of Foodman CPAs & Advisors, Foodman says. "We know our place in the scheme of things, and provide advice and litigation support within an accounting and tax framework. If there are legal issues, we advise the client to speak with an attorney. A team approach is essential in navigating complex financial matters in today's changing world."